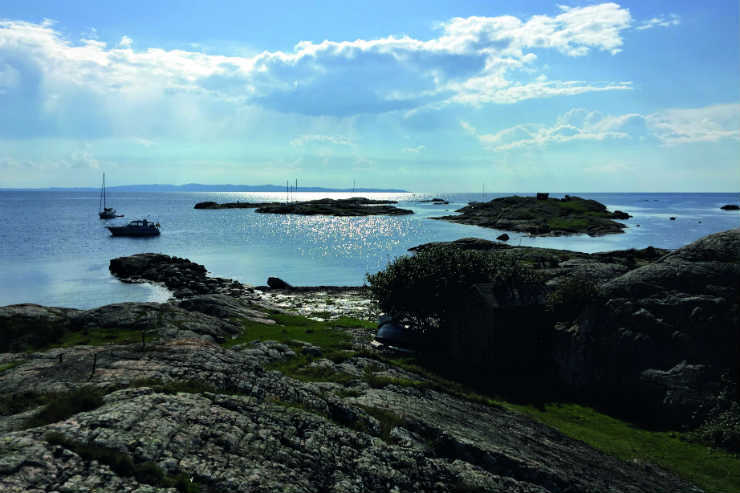 From tree climbing to rugged coastlines, Claire Dodd discovers that Sweden’s Skane region offers clients the chance go back to nature and try some unusual activities. I’m dangling from the tallest oak tree I’ve ever seen, debating what to do next. I’m about 10 metres from the ground and there is – I estimate – another 20 to climb. But I’ll be honest, it looks pretty scary from up here. Kristina, an instructor from activity company Embla, has taught me how to throw a rope up, and tie the knot that’s holding me. I’m already feeling a profound sense of achievement. And despite encouraging words from Kristina, I’m managing to make the climbing process – which involves folding and then straightening out your body while pulling on the rope – look much more difficult than it actually is (think sea lion on land). Time to head down, methinks. I’m in Skane (pronounced Scorn-ah), to find out how Sweden’s southernmost region is making a name for itself as a “soft adventure” hub. Fishing, horse riding, canoeing and kayaking, wild swimming, rock climbing, cycling, hiking and windsurfing – you name it, you can do it here. “We don’t have high mountains, and we don’t have the fjords [in Skane],” says Jenny Jonevret, accessibility. Not only is getting here easy, but at just over 4,000 square miles, it’s relatively compact. You’re never more than an hour’s drive from the coast, for example. Malmo is just a 24-minute train journey from Denmark’s Copenhagen airport via the Oresund bridge, made famous by the aforementioned drama series. From there, regular public transport serves the rest of Skane, though with many quiet, scenic roads guests may prefer to drive. While I’m based in mid-Skane, characterised by its forests full of trees – such as the one I attempted to scale, the north-west has rugged coastlines (including the Kullaberg Nature Reserve) and genteel fishing towns. Torekov is one such spot, so charming that the likes of Hugh Grant has bought a home here. Though still a working fishing village, it has become more of an upmarket resort town in recent years; think a Swedish Padstow. The town bears reminders of its seafaring past with artefacts such as figureheads from historic ships either wrecked or dismantled locally, displayed by the water. The locals here religiously practise daily sea-bathing. Walking through the town on the way either to or back from the beach in a bathrobe has become something of a badge of honour. But for those not brave enough to dare a brisk dip, there’s plenty more to do. Catch a ferry to the island of Hallands Vadero and spot the colony of seals that live by its shores. Further up the coast sits the town of Bastad, famous for its annual tennis tournament, the Swedish Open, held in July each year. It’s also a great place to join the Kattegattleden coastal cycle path, Sweden’s 230-mile first national tourist bicycle route. In the north-east there are lakes galore, making it a preferred stop for kayaking. The right to roam means camping on your own little island for the night is a viable option. Bike trails, and part of the 620-mile long Skaneleden walking trail span the south-east corner, with its white sand beaches and rolling green hills, while the centre is typified by forests. Put simply, feeling like you’ve genuinely escaped to somewhere wild is easy here. But you may need to learn a few new skills to do it. Back among the trees I’m attempting culinary preparation to refuel after my climb. “You’re going to cook a three- course dinner. But I don’t have any recipes,” says our host Camilla Jonsson, co-owner of Nyrups Naturhotell, a collection of yurts deep in the forest. “I don’t work with them to get you to talk to each other more,” she adds merrily, leading my group to a table laden with locally grown, still dirt-on vegetables, berries, smoked ham and local cheeses after guiding us on a three-mile trek through the beech forest. We also have fish caught earlier in the day on Ringsjon lake and chanterelle mushrooms foraged during our walk through the forest. Guests who stay at the hotel can also opt to take a guided cheese tasting while walking the forest. Now, with some dish suggestions from Jonsson, it’s time to produce a meal. And even allowing for the fact that food is always better outdoors, it’s the best meal I’ve ever had. Maybe there’s another Michelin star due for Skane? I became an arborist (tree surgeon) six years ago. Previously I’d worked in an office all my life. It was kind of an accident. A colleague suggested it, and I applied as it sounded fun. Most of my work involves pruning or taking trees down, but about 20% is instructing. Anyone can climb trees. Even small children and older people. You don’t have to be very strong or athletic. And the funny thing is that the most frequent groups to climb with me are middle-aged women. There’s nothing else like it. If you’re hiking, you can sleep in the trees [in a tree bed] instead of camping. It’s just the wind, the sound of the leaves, and the birds. It’s like the trees are hugging you. You feel free, like you have the whole world and can do anything. Skane is a great area to try the sport. There as so many beautiful forests of beech and oak trees. And because we have Allemansratten you don’t have to ask if you want to climb it. As long as you don’t hurt the trees, you can just go out and climb.